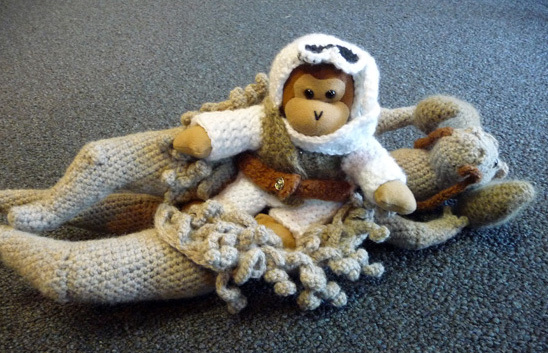 One would think that stuffed monkeys do not NEED Star Wars costumes. And one would be wrong. I know that M4P friend Amy (maker-of-all-art-things extraordinaire) would certainly object to that statement, so Amy, this one is for you! This brilliant creation by Mara Saxer at the blog Mara’s Things has everything a curious monkey could want: ear protection (to protect its ears if it makes too much noise), icky gooey tauntaun innards, and goggles to protect oneself while playing with said innards…and style. Monkeys have style! When I was a wee Padawan, I did A LOT of camping. With friends, family and the Scouts (in Europe, the Scouts are co-ed). Eating all that campfire food, it was inevitable that someone started “stinking up” their sleeping bag at bed time. We would hear the farting, and everyone would scream “DO NOT OPEN YOUR SLEEPING BAG! 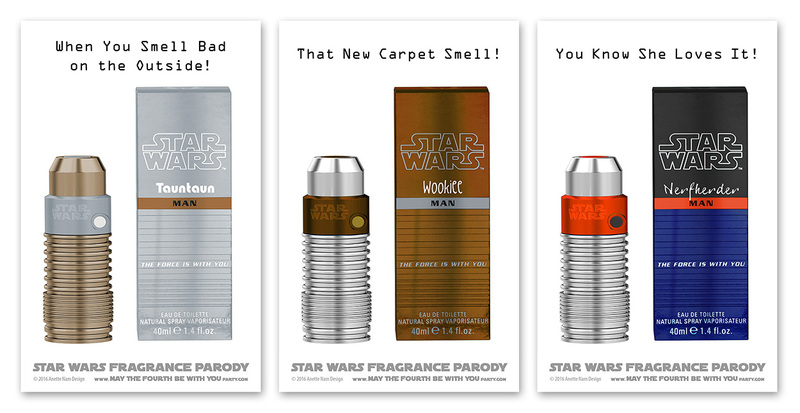 !” But of course the culprit would open it, and we all would gag and scream “AAAURGH!” If we had had these Tauntaun sleeping bags, we would all have been yelling “AND WE THOUGHT THEY SMELLED BAD ON THE OUTSIDE!” instead. Camping (and farting) would have been MUCH funnier! This is just so awesome. Check out the intestine lining on the inside!!!! !